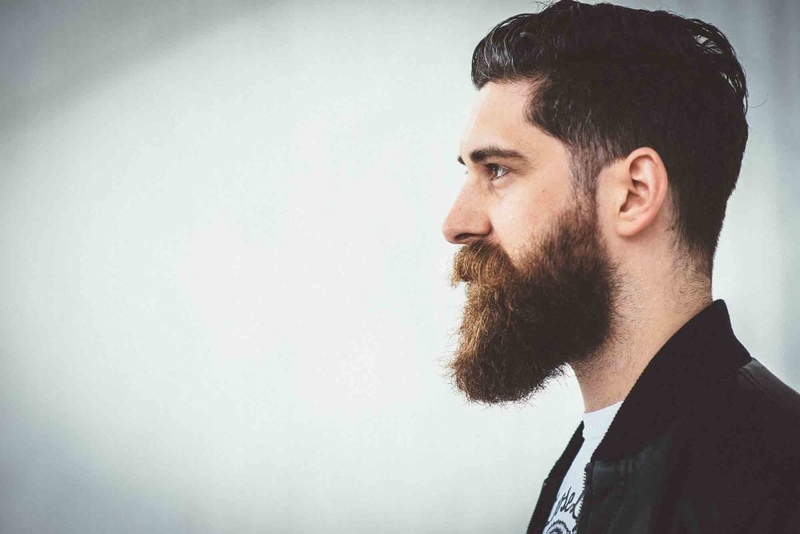 You’ve probably seen the somewhat bizarre trend – growing out beards. Actually, full facial hair is seen as a symbol of ruggedness, power and masculinity in some cultures. However, it is not easy to grow a perfect moustache or a full beard. One needs to persevere and be patient. Hair growth rate and thickness mainly depends on genetics and testosterone levels. While you do not have much say about this, here are some handy tips on how to grow a full beard by fostering the right environment for beard growth. One important tip on how to grow yourself a full beard is to commit to the cause. You may have to apply the four-week rule, which entails committing to growing a full beard consistently to achieve its full potential. The beard itches between the second and third week prompting most men to either shave or trim. This can be caused by new hairs growing or simply poor grooming habits. You must be patient, even when you see some patches as they will eventually fill up as the beard thickens. You will be good to go once you get through the stubble phase, which is usually four weeks. After the four week mark, you can either start shaping and grooming the beard, or simply let it grow to its full potential. Grooming is the way to go if you prefer a polished appearance. You could also let it grow naturally for a manly look. Trim with scissors or a trimmer, and use some beard oil to moisturize the skin. The oil will soak into the beard and help it grow longer and healthier. While this might sound far-fetched, getting adequate rest is one of the most overlooked tips on how to grow a full beard. It helps to increase testosterone production. Sleep for at least 8 hours to allow your body to regenerate testosterone. This will also reduce your stress levels, ultimately benefiting your facial hair growth. Sleeping for 5 hours could reduce your testosterone levels by up to 15%, resulting in patchy areas in your beard that may take forever to fill up. Your beard needs a healthy diet rich in vitamins, minerals and proteins to grow faster. Eat lots of vegetables as they are rich in vitamins. Also include plenty of nuts, eggs and kale. These foods will boost testosterone production, and in the end result in a thicker, healthier beard. Apart from taking a well-balanced diet, taking supplements will also help stimulate facial hair growth. Zinc, magnesium, copper, iron, vitamin D, vitamin B and vitamin E all play an important role in growing thicker hair. Unfortunately, most men do not get enough of these nutrients in their daily life. So incorporate supplements in your diet to fill up the gap. Most of the time, you will be required to take a tablet per day and the results will be evident gradually. Exercise contributes a great deal towards beard growth. Losing weight will help increase testosterone levels. Short intense exercise not only increases the levels of testosterone, but also prevents it from declining. Any kind of exercise will have positive effect. However, high intensity interval training and weight lifting works best. Testosterone plays a vital role in the growth of facial hair. It is actually responsible for creating hair follicles on your face. Dihydrotestosterone, a byproduct of testosterone, promotes linear growth of facial hair. Exercise also boosts blood circulation availing nutrients to the hair follicles. Get active and let exercise answer the question how to grow a full beard. There is evidence that cortisol reduces testosterone levels. This may be because, biologically, testosterone associated behaviors, like mating, competing and aggression, may reduce your chances of survival in case of an emergency. What's more, stress can even cause hair loss since it causes blood vessel constriction depriving the hair roots of sufficient nutrients. You have to control stress to grow out a full beard. Beard transplants have gained popularity since 2007. The donor hair is usually extracted from the side or back of your scalp depending on what resembles your facial hair. The transplant process takes two to five hours and may cost up to $7000 and rarely requires a second procedure. The transplanted hair falls off after two weeks and new hair grows three months later. This may be the best solution if you have no facial hair at all. If you have an incomplete or patchy beard, it is advisable to try other solutions before settling for a transplant. Another tip on how to grow a full beard is to use the right products. Most people use the normal soap to wash their beard, or they do not clean it at all. To prevent your beard and the skin beneath from drying out, shampoo it a few times a week. A moisturizing shampoo works best as it prevents the hair from getting brittle. After the shampoo, use a heavy duty conditioner to prevent the beard from getting wiry. Let the conditioner sit for a while before washing it out, or better use a leave-in conditioner that you do not have to wash off. Use non-comedogenic products since they do not clog your pores. Regardless of how long you want to grow your beard, a trim every two months is necessary. It helps get rid of split ends. Trim your beard every two weeks if you prefer to keep it short. As you go about this, make sure to use the right tools. An electric trimmer will be good for the edges of your beard. Use a pair of scissors and a comb to shape the bulk. Scissors allow you to control how much hair you cut off.